Welcome to the York Plaza in the Byward Market! 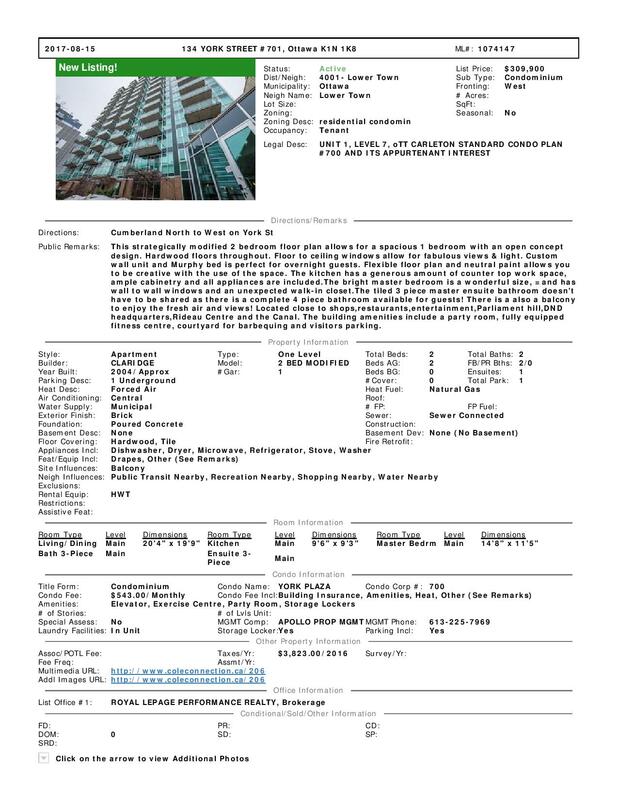 This 845 Sq foot condo is a modified 2 bedroom to offer a larger 1 bedroom condo. The reconfiguration allows for a generous open concept living area that has hardwood floors throughout and floor to ceiling windows that allow for a bright cohesive space and amazing views. The flexible floor plan and neutral paint palette allows you to be creative with the use of the space. A custom wall unit and Murphy bed offer a great spot for overnight guests. The kitchen has a generous amount of countertop workspace, ample cabinetry and all appliances are included. The bright master bedroom is a wonderful size, and has wall to wall windows and an unexpected walk-in closet. The tiled 3 piece master ensuite bathroom doesn’t have to be shared as there is a complete 4 piece bathroom available for guests! There is also a nice balcony to enjoy the fresh air and views! Located close to shops, restaurants, entertainment, Parliament Hill, DND headquarters, Rideau Centre, and the Canal. 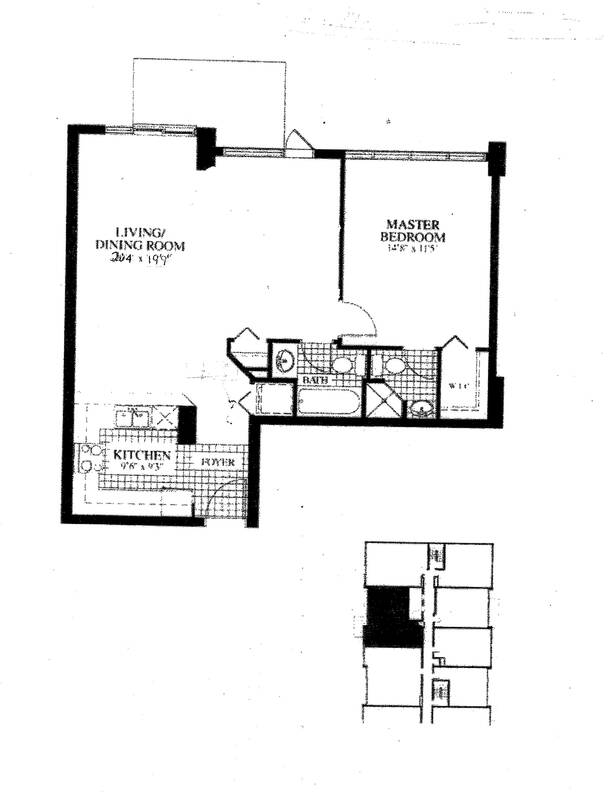 The building amenities offer a party room with a kitchenette to host a large gathering. There is a nice fully equipped fitness centre and courtyard for barbequing.